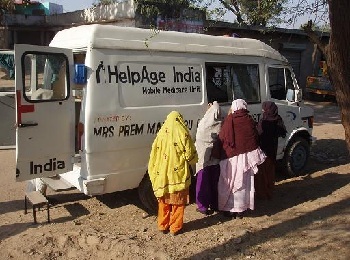 Aim abroad also offers volunteer's to work in Hospital / Slum clinic. As a member of team you will be accompanied by doctors and pharmacists. Goal of this project is to reach ailing population in remote and rural areas, where health services are beyond their reach. 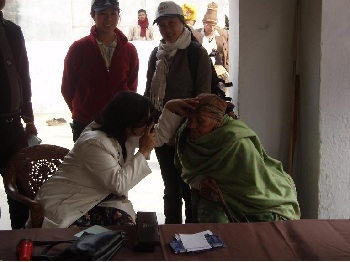 You will distribute medicines and you will share your time, energy and skills to support the people. In charity hospital with Aim Abroad, volunteers can have several different opportunities. Volunteers can assist in surgical procedures or help nurses and doctors with their routine jobs, such as taking height and weight measurements of the patients, as well as measuring blood pressure and Blood sugar of the patients under supervision of the medical team. Volunteers may assist in distribution of medications, providing suggestions to patients regarding nutrition, health and sanitation, and serve the patients by treating minor injuries additionally.